Are 당신 (or did you) going to the Creed 2010 tour? Are 당신 pumped up for the 2009 CREED REUNION TOUR??? The fans pick: YEA!!!!!!!!!!!!!! FINALLY!!!!!!!!!!!!!!!! Who knew Creed had split? I was looking for everyone's input.Would 당신 go see the band Creed??? Yes 또는 no?? ?I have been called 의해 Weathered, Creed Tribute band to rejoin..... I was the 고수, 드러 머 for the band and we were successful. I am considering it.Thanks for your input. 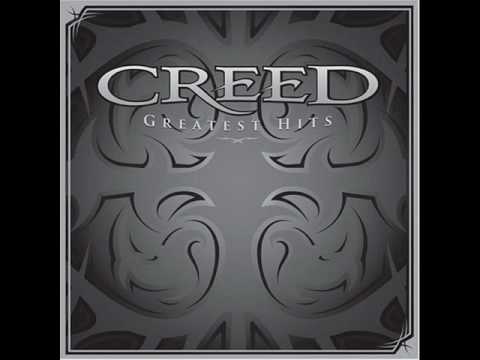 Creed is a band Tallahassee, Florida that became one of the 90’s biggest-selling rock bands. Creed disbanded in 2004 after three multi-platinum albums, selling an estimated 35 million records worldwide. The four original members, Scott, Mark, Tom, and Ryan reunited in 2009 and created a new album called Full Circle. In April 2010 they began The 20-10 Tour to perform their new album. InSeats.com has great deals on Creed tickets for all of the stops on their current tour. Creed bio with 링그 to amazing videos. The newest chapter in the series that Mark started featuring Troy Stetina is out now! Check it Out! No posts have been made to the Creed wall. a comment was made to the poll: Whats Your favourite song??? Radagun is way better than Creed.